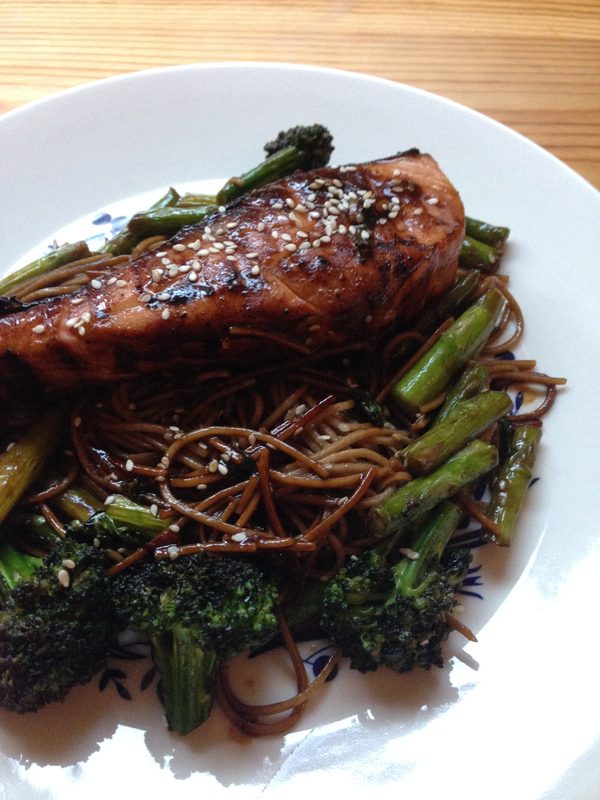 You can use as little or as much soba for this meal as you like, just portion it out however you feel. 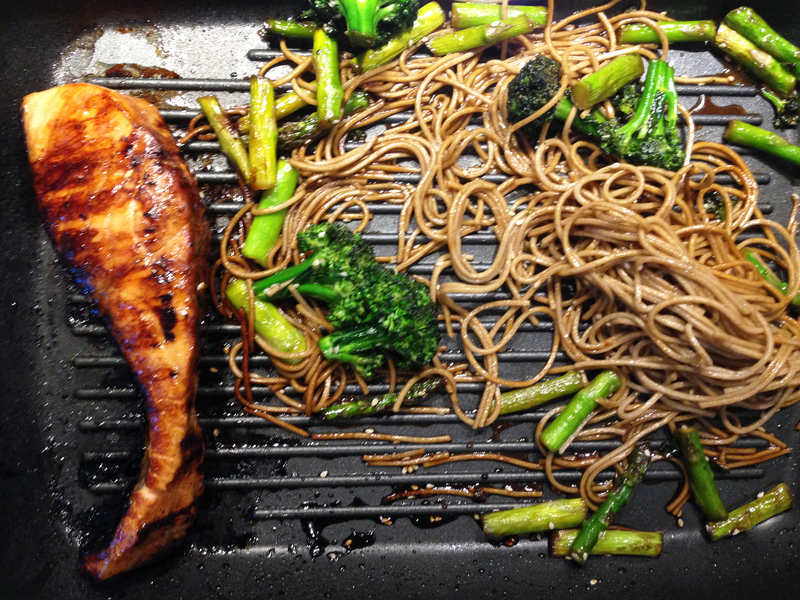 You could even replace the soba completely with more asparagus and broccolini. 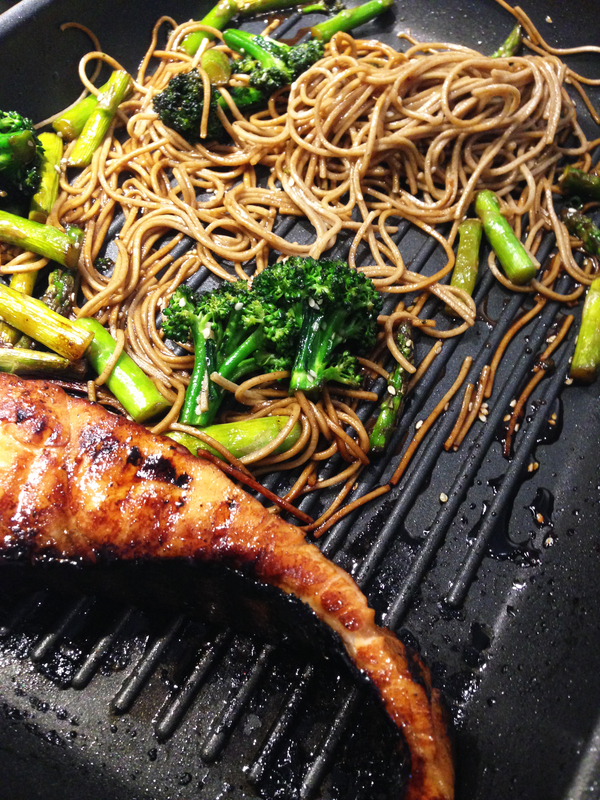 In a medium bowl, combine the teriyaki, soy and honey, and season with black pepper. Taste to make sure you’re happy with the sweetness. 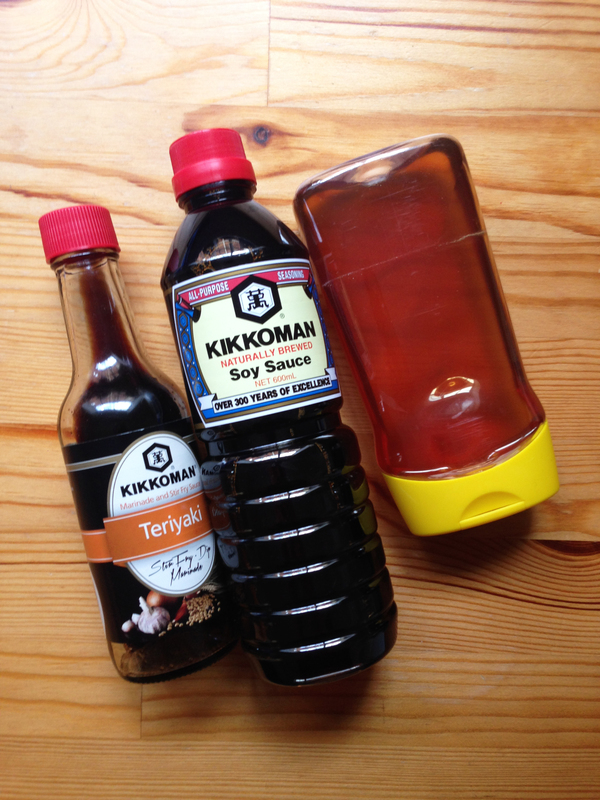 Add more honey or soy to achieve the flavour you like. 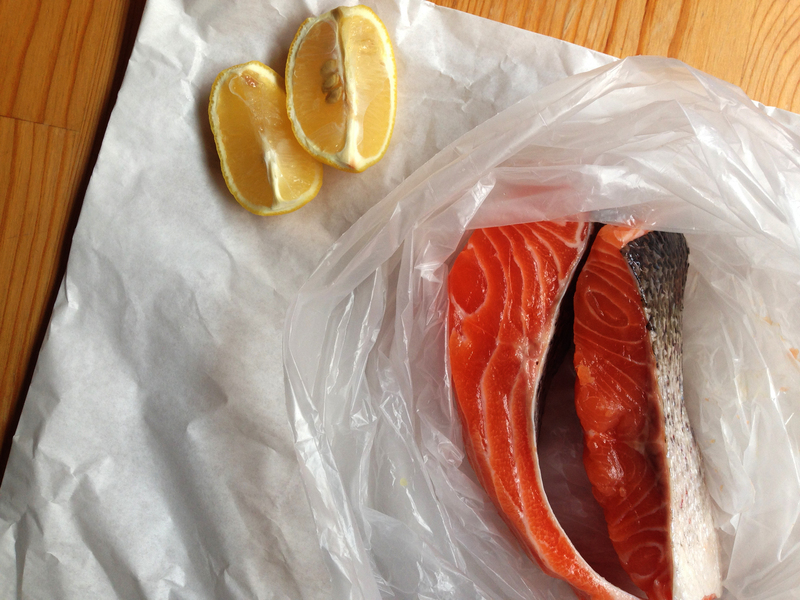 Put the salmon fillets in the marinade and let them sit for at least 10 minutes. 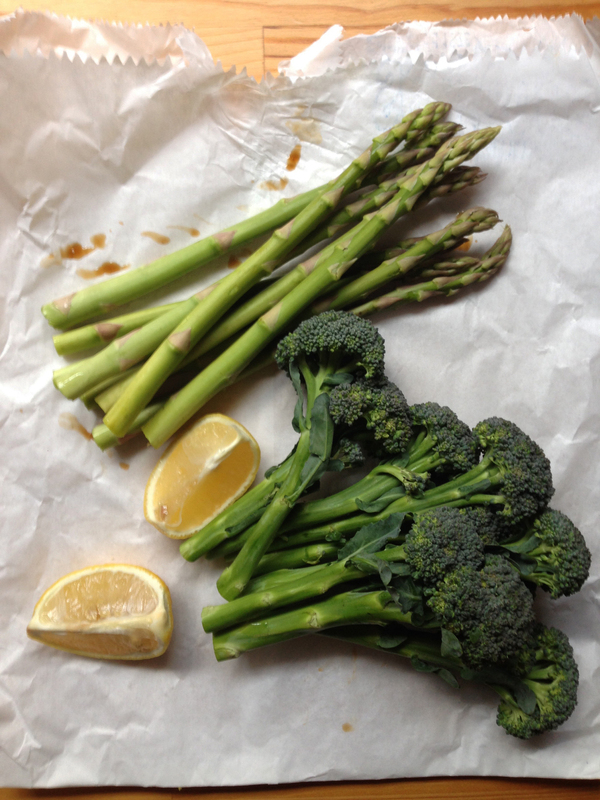 While the salmon is marinating, cut the asparagus into 2cm pieces and cut the florets off the broccolini. Bring a pot of salted water over high heat to the boil. Heat some oil in a grill pan over medium heat. Add the asparagus and broccolini. Once the greens become bright in colour and start to cook push them over to one side of the grill pan and on the other grill the salmon, skinless side first. Pour the remaining marinade over the veg. Everything in the pan should get sticky from the honey (the best bit!). 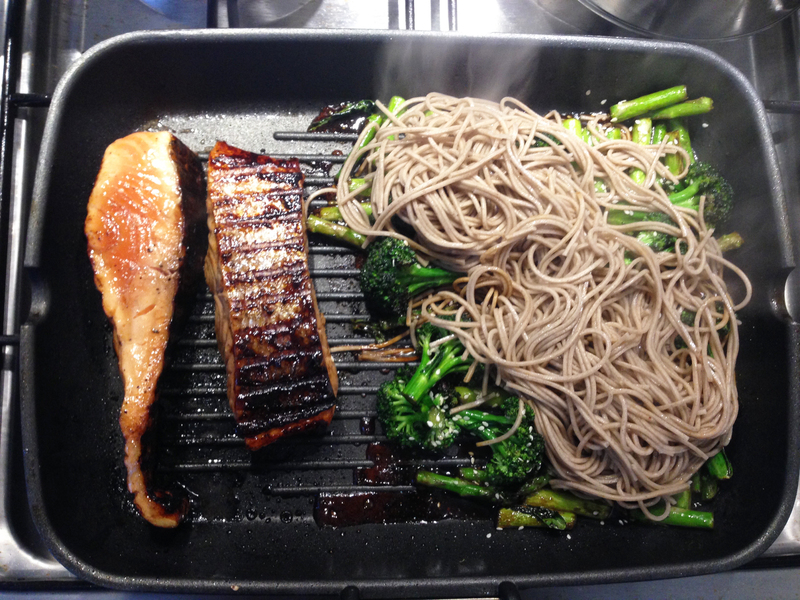 While the salmon is cooking, pop the soba noodles into the boiling water and cook for 4 minutes. (They should only be half cooked.) Strain and transfer into the pan over the veg and combine the two so that the soba cooks through with the sticky flavours. It should only need another two minutes. 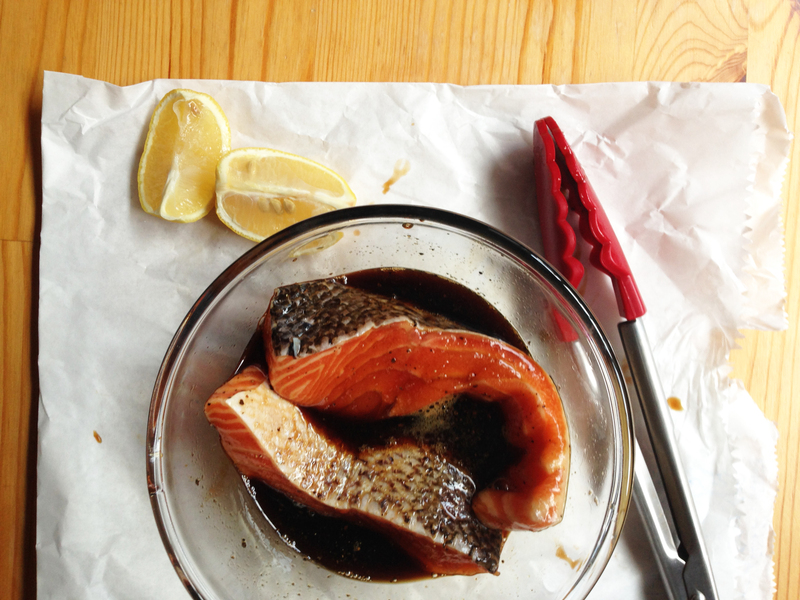 Once the salmon is cooked to your liking, you can serve up! I’ve sprinkled mine with some sesame seeds too! If you loved this salmon recipe, you’ll probably enjoy my recipe for a seafood layered summer salad.